SmartAVI DVI Fiber Extenders boost the signal range of devices with DVI HD video connectors using fiber optic cables. 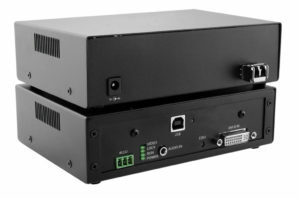 Fiber optic technology sends HD A/V signals across vast distances at lightning-fast speeds with the utmost signal security. 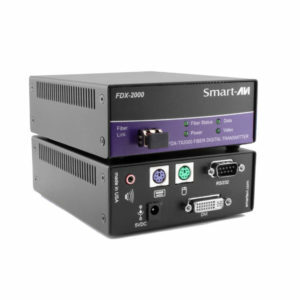 Perfect for sending sensitive HD video content to an end-point display or user, DVI Fiber Extenders offer the best signal extension without risk of interference or interception. DISCONTINUED! 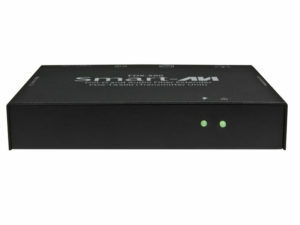 For the extension of any USB keyboard and mouse, stereo audio, DVI-D, and RS-232 signals up to 15 kilometers. 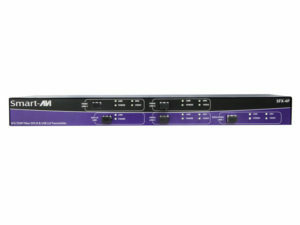 Multi-mode Quad DVI-D Extender, with Audio and PS/2 Keyboard and Mouse. Extends up to 1,400 feet over 4 Fiber Optic Cables. 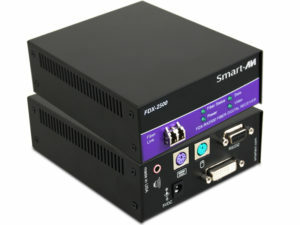 Single-mode Dual DVI-D Extender, with Audio and PS/2 Keyboard and Mouse. 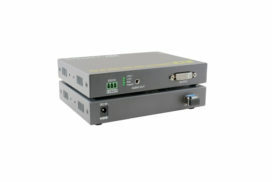 Extends up to 9 miles over 2 Fiber Optic Cables. 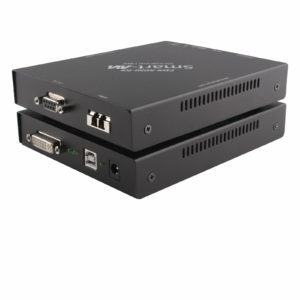 Single-mode Dual DVI-D Extender, with Audio and USB Keyboard and Mouse. Extends up to 9 miles over 2 Fiber Optic Cables. 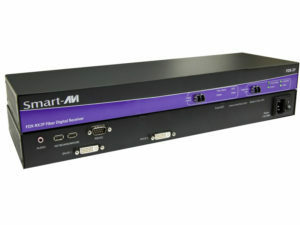 Single-mode Quad DVI-D Extender, with Audio and PS/2 Keyboard and Mouse. Extends up to 9 miles over 4 Fiber Optic Cables. 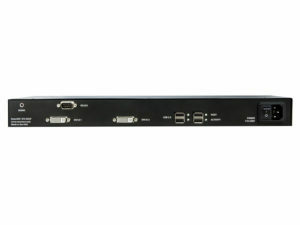 Single-mode Quad DVI-D Extender, with Audio and USB Keyboard and Mouse. Extends up to 9 miles over 4 Fiber Optic Cables. DISCONTINUED! 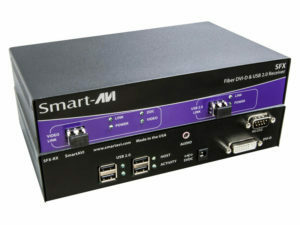 DVI-D, stereo audio, RS-232, and USB KVM extension over fiber optic cabling up to 15 km (9+ miles). 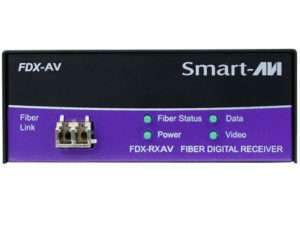 Extend HD DVI-D, USB KM, and RS-232 signals up to 1,400 ft via fiber optic cabling. 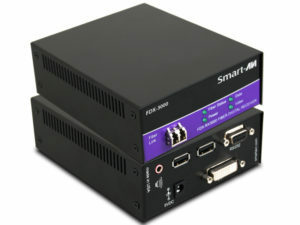 These DVI Fiber Extender units are no longer in production at SmartAVI; please check each unit's product page for more information about updated models and replacement units. DISCONTINUED! For the extension of any USB keyboard and mouse, stereo audio, DVI-D, and RS-232 signal up to 1,400ft.